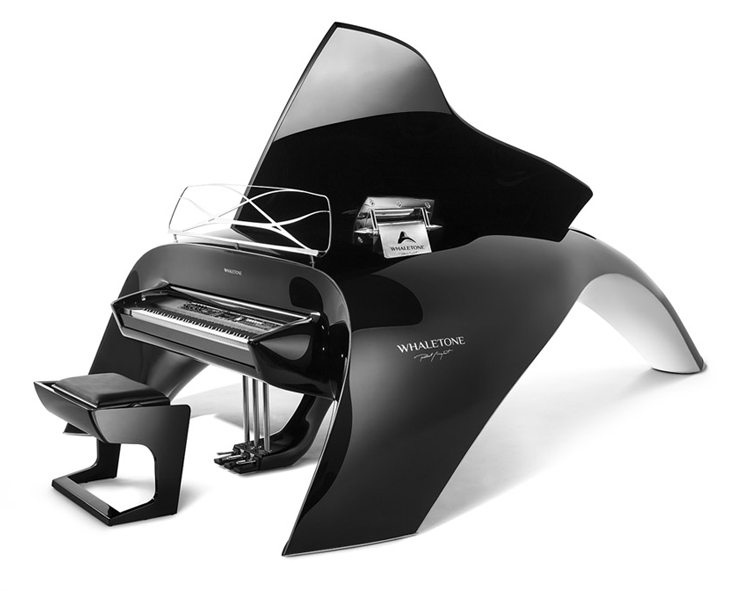 WHALETONE is the unleashed joy of playing and the free-spirited hand-made symbol of openness to your desires. WHALETONE is a story which truly happened. It’s a dream that became a truth and changed what was unchanged. It gave freedom of form, liberated energy and released that which is so beautiful in music – passion. WHALETONE is the piano for individualists but also for those who are searching for a close relationship with music’s nature, who need the beauty of music and the everyday delight and joy of playing. Created from dreams – it meets them Professional top-quality stage instrument that can be like you and exactly what you like. Together with WHALETONE you make the world a better place. WHALETONE resembles a whale – the symbol of freedom and harmony with nature. It is music in its most natural and harmonious form. The beautiful two-color black and white case of the classic model, combined with a modern shape and elegant soft lines – these are not the only virtues of WHALETONE. This fully professional stage instrument is able to respond to many music-related challenges. Every detail of the instrument has been precisely crafted. Each WHALETONE is one-of-a-kind and reflects individual tastes and emotions related with it. IT SEEMED TO ME A LITTLE IMPRECISE, FUZZY. SHAPES WERE LOOMING, FADING AWAY, THEN REPLACING ONE ANOTHER. Maybe it was the whales I saw during the day, maybe the smooth motion of waves, or maybe just many things have overlapped and blended into one animated sequence of pictures. What I saw was a grand piano – yet totally different from all I have seen before. As though it was challenging the classic notion of a piano. Soft, flowing, frozen movement of a gigantic animal. Although I was moved by the dream, I did not appreciate its meaning at first. I realized how little had changed in this instrument over so many years. Intrigued with this discovery, I began to chase the dim picture trapped in my memory. At first, my mind led me astray, struggling with habits, experience, intuition and beliefs. It took me a long time to sketch the form, which came across as something vaguely imitating the vision concealed in my mind. And then, one day, while working on this concept already a bit obsessively, my mind unlocked and my hand drew the piano from my dream. I immediately recognized it. I instantly knew I’d got it. Monumental - like a whale emerging from the water, slow - like the movement of a giant. Charming, majestic, delicate and melodious, like the romantic calls of coquetting whales… I knew it called for being made. From that moment on, I have known that in the depths of our minds there are ready-made and complete good ideas. Concepts, forms, choices that are beyond our comprehension until we release them. This is one of them – WHALETONE – my version of a singing whale. Imagination is a part of nature – of human nature. Imagination distinguishes us from other mammals, giving us the impulse to develop, but also holding us accountable for what we do. We are not indifferent to our future and have therefore decided to give something back to the environment in which we live. To give thanks for the dream, the imagination and the inspiration to endangered whale species 1% from the value of the total sale will be dedicated to an organization campaigning for whale protection. By choosing WHALETONE you will join us in supporting this initiative. Robert Majkut is one of the most important European designers. A visionary leading his time, violating convention’s framework, and for whom impossible is nothing. The humanist, the expert of culture, the creator of reality, a natural born rebel Perfectionist – always aspiring to the highest level of quality. He is the creator of spaces and objects with pioneering character. The world seen by Robert Majkut is characterized by individualism and a remarkable sense of form. His style combines formal design with innovation and the latest technologies. For a long time he has been faithful to the message: "the future is tomorrow invented today". Whaletone will meet almost all tailored spaces , from the concert stage to living room or yacht deck. It is to be define by those who believe in music and enjoy the pleasure of freedom in life. Whaletone is pure expression of understanding the high personalities and proves the essence of passion and fulfills the greatest dreams. Whaletone Ltd. is a new company functioning since 2011. It was created by people full of passion and commitment, who are prepared for the contemporary expectations of modern and demanding clients, and who use their international experience and knowledge to launch special offers to the market. A holistic approach to the product, attention to the highest quality, openness to innovation and the marking out of new boundaries for products is inherent within the DNA of the company. Started in London, it coordinates project and production ventures which are concentrated in Europe and manages the trade activities worldwide. Aiming for the delivery of offers which correspond with our clients’ dreams, the company sets high quality standards in the fields of production and customer relations. We achieve this by assuring the best service and providing extensive help during the process of joining Whaletone’s piano family. Coowner and Director of Whaletone Ltd. 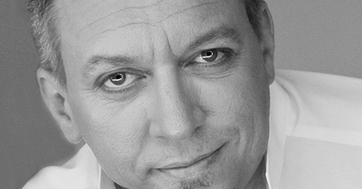 Creator of the WHALETONE piano, designer, founder and CEO of Robert Majkut Design (RMD) – a specialized design company offering professional solutions for businesses, both in Poland and abroad. In WHALETONE Ltd, responsible for R&D, development of new models and the brand’s image. Designer, photographer, independent specialist in design management. Implementation and Development Director at Robert Majkut Design (RMD) responsible for coordination and implementation of all projects in the area of interior design for business. In WHALETONE Ltd, responsible for supervision and management of marketing and sales.